When I was at rock bottom with rheumatoid arthritis and experiencing excruciating pain on a daily basis, I started keeping a gratitude journal. That might seem like a strange time do this, but I deeply needed to focus on something beyond the pain and suffering that had become my entire world. And it helped! It didn’t alleviate my pain, but it did reduce my suffering, because it helped me remember there were still good things in my life. It turns out I’m not alone in feeling these benefits. Research is showing that gratitude can improve both mental and physical health. 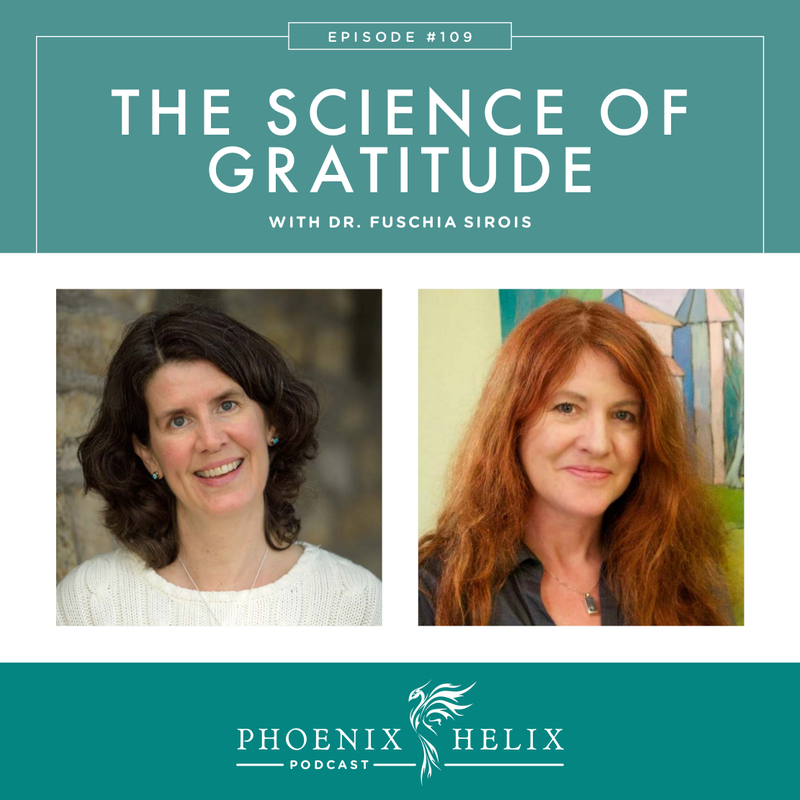 My guest is Dr. Fuschia Sirois, an expert in the field of gratitude and chronic illness. 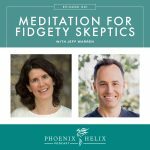 In this podcast, we discuss the research, alongside practical steps for making gratitude part of our daily lives. They have 3 varieties of bone broth: Organic Free-Range Chicken, Organic Grass-Fed Beef, and Organic Golden Turmeric. They're all cooked for 24 hours to gather the most nutrition and create a gelatinous, gut-healing, and delicious broth. If you're still planning your holiday menu, check out my Paleo AIP Thanksgiving Recipe Roundup. I've got you covered with everything from turkey to gravy to stuffing to sides to dessert! If you want to be notified of the upcoming Black Friday sales, subscribe to my newsletter, or check my website on Black Friday itself. 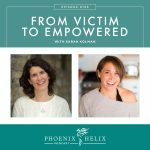 Dr. Fuschia Sirois is a psychologist, professor and researcher, who is highly interested in how psychology impacts physical wellbeing, especially for people with chronic illness. She’s conducted research into procrastination and perfectionism as risk factors in health, and self-compassion and gratitude as resilience factors. She herself has a history of reactive arthritis, and gratitude is part of her personal self-care. This Fall, she also helped coordinate a public gratitude project at The University of Sheffield. It has 3 parts: (1) Noticing the positive. (2) Appreciating it. (3) Expressing gratitude regarding it. It's a relatively new field of research. In the 1980's and 90's, it was included within the research on positive psychology. Then, in 2002, with the publication of the GQ-6 scale, research started focusing on gratitude specifically. This scale measures a person's tendency toward gratitude. Since then, studies have focused on whether a grateful mindset can be cultivated (and the answer appears to be yes). When it comes to research on gratitude and chronic illness, that's a very new area, and it's one of Dr. Sirois' research specialties. Sometimes we think we need the above first, before we can feel grateful. But research shows that cultivating gratitude, even when times are tough, creates these positive benefits. Gratitude also has a lasting effect on the brain. Fuschia conducted a study on the impact of gratitude on people with autoimmune disease (ulcerative colitis, Crohn's, rheumatoid arthritis, psoriatic arthritis, and ankylosing spondlyitis). It showed that a gratitude practice lowered both depression and anxiety. This was true even when controlling for all other variables. She also did a study on gratitude in people with fibromyalgia. They measured gratitude and quality of life compared to a healthy control group. The fibromyalgia group tested lower on both (which was expected), but they found a connection between gratitude and quality of life, showing this could be an effective intervention for increasing quality of life both physically and mentally. There's also been one study in people with neuromuscular disease, which showed that while gratitude didn't decrease pain, it did increase sleep quality, optimism, and life satisfaction. Lastly, studies looking at gratitude and heart health showed that gratitude lowered both blood pressure and inflammation. 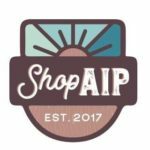 When you visit ShopAIP's website, you can quickly find ingredients by category. Today, I'm highlighting herbs and spices. 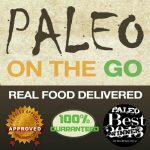 Healing diets don't need to be bland! In addition to selling individual herbs and spices allowed on the protocol, they also sell flavorful blends including: BBQ Rub, Super Gyro, Garlic & Herb, Breakfast Sausage Blend, Meat & Veggie All-Purpose Blend, Seasoned Salts, and more! When someone has chronic illness, or is struggling in any area of life, we need to understand there might be barriers to gratitude. Simply telling people to feel grateful might make some people feel worse instead of better. Fuschia would like to see more research in this area: What are the barriers to gratitude? How can gratitude be taught in a way that takes these into account? When is a different intervention more appropriate (like self-compassion, for example)? Resource: 5 Ways Giving Thanks Can Backfire. Gratitude List (3 Good Things): Simply listing 3 things for which you feel grateful every day. This is commonly used in research, because it is so simple. One study found that not only did this increase wellbeing immediately, but those benefits lasted for 6 months. Gratitude Journal: This expands on the list, where you reflect more deeply on the feeling of gratitude and what inspired it. Tips: For both of these practices, the act of writing is more powerful than saying it in your head. Also, the more specific the better – choose different things every day. This trains our minds to start looking for the positives in life. The more we look for them, the more we notice them. The Unexpected Thank You: Expressing your gratitude to someone else. We often underestimate how much this impacts someone. It's an opportunity to give a happiness boost to both yourself and the other person. And research shows this is one of the strongest gratitude practices. Group Gratitude: You can also do the 3 Good Things exercise with family or friends. When others share what they're grateful for, it can remind us of positives in our own lives we might have overlooked. Children are especially good at noticing small, positive things. Gratitude Apps for iPhone and Android. Thnx4 – online gratitude journal. Expanding Gratitude Project at the Greater Good Science Center. You can follow Dr. Fuschia Sirois on Twitter and also keep up with her research through her bio page at the University of Sheffield. Special Note: Many listeners have told me they'd like to leave a positive review in iTunes but don't know how to do it. I finished today's podcast with a step-by-step tutorial, and I've also included a written tutorial below. If you take a minute to do this, I would be very grateful!